N-11-87 Odor neutralizers are a unique alternative in odor control. Since N-11-87 neutralizes by means of chemical reaction, counteraction and absorption, it reacts with a variety of gases (acidic, neutral and alkaline) from landfill and sewage. N-11-87 concentrated water-based products are non-toxic and biodegradable compounds. The formulas are designed to chemically react, varying degrees, with particular types of gases. In todayÃÔ climate of ecological awareness, we are proud to offer products that control odors in an environmentally responsible and enhancing way. N-11-87 is a fresh-scented formula specially designed for spray application and may be diluted up to 500 times with water to deodorize air-borne odors and neutral gases for landfills, sludge, compost and garbage. Through methods of chemical reaction, counteraction and absorption, Epoleon N-11-87 formulas neutralize odorous gases upon contact. Here are four examples of how Epoleon N-11-87 converts obnoxious, often problematic gases into stable, non-harmful and odor-free compounds. 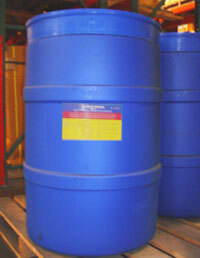 * N-11-87 is also available in 5 gallon pail. N-11-87 is specifically designed for spray applications such as landfills, garbage, compost and sludge. It and can be diluted up to 200 times with water as needed. A diluted Epoleon N-11-87 can be sprayed directory into digester tanks, over the surface of sludge as itÃÔ transported to drying beds, or during dehydration. A diluted Epoleon N-11-87 can be incorporated into perimeter fogging system or manually sprayed over the surface of the landfill. Epoleon N-11-87 should be applied regularly in order to effectively reduce odors and prevent ensuing complains from neighbors. An exact agenda is ultimately left for the end-users to determine, based on the strength of odors, how frequently the landfill is added to and weather conditions such as wind direction and temperature.